We know that implementing new digital technologies and software can be heavily consuming on resources, and so, often a “digital transformation” is required. Whether you want to implement a new database, get a mobile app up and running or you need to re-consider your data analytics strategy, it’s likely that you’ll come across hurdles. Whilst digital transformation may be a goal of an organisation, the approach shouldn’t necessarily be to implement new technologies into your stack. 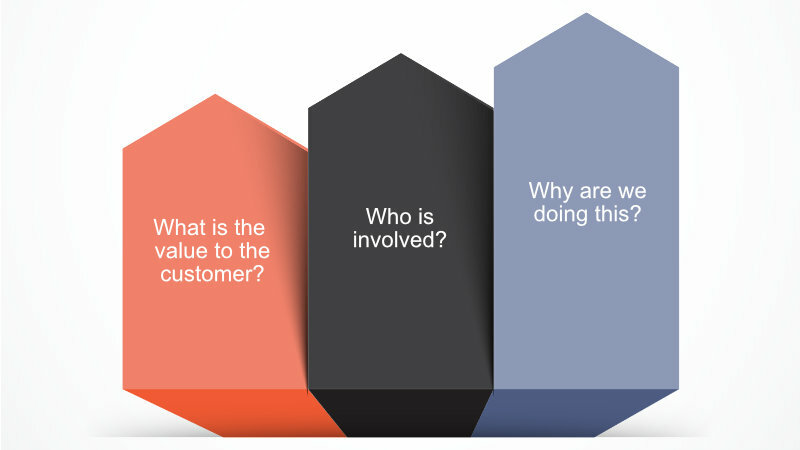 When looking to transform, you should be looking at both your and your customer’s pain points; try to focus on addressing these. This may mean implementing new systems or investing in a new piece of bespoke software, however don’t go looking to implement a new technology just because it’s something new. You have many problems to address and are looking at a huge overhaul of system and technologies within your organisation. You’re setting yourself extremely high expectations. Whilst you might want to go about implementing all of these technologies and upgrades at the same time, we’d recommend implementing smaller changes in phases, so that each upgrade gets implemented and learnt properly. Once phase one has been successfully implemented and tested, the rest of the overhaul can be undergone in later phases. 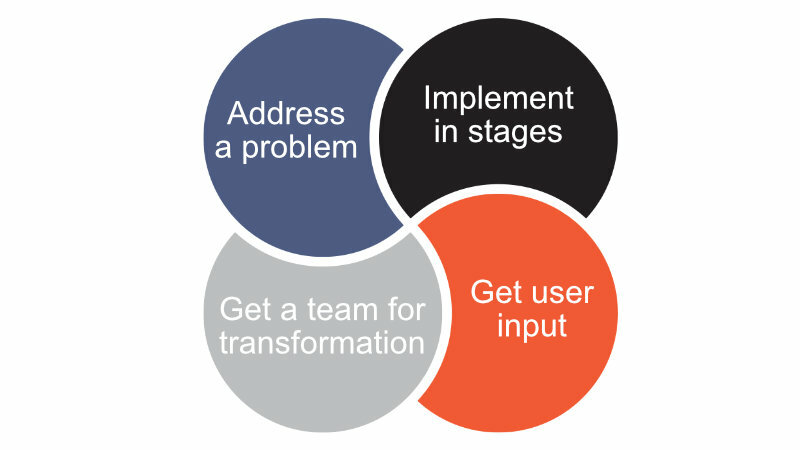 Whilst it is often a CIO or CTO who approves new software implementation within a business, if you haven’t got user buy in then the transformation won’t be successful. Whether the transformation you’re looking to implement is to benefit that of internal colleagues or customers, it must streamline their experience and bring new benefits, otherwise you’ve wasted time and resources to achieve nothing but change for no reason. Some companies will start with well defined intentions, having followed the three points above, however fail to reach their goal due to lack of follow through. You may have the buy in of your directors and employees alike, but to ensure it’s completed you need a dedicated transformation officer or team. This way, bottlenecks can be avoided whilst ensuring your teams are self-sufficient and digitally proficient.